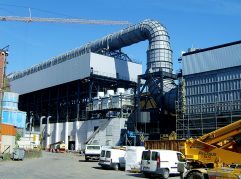 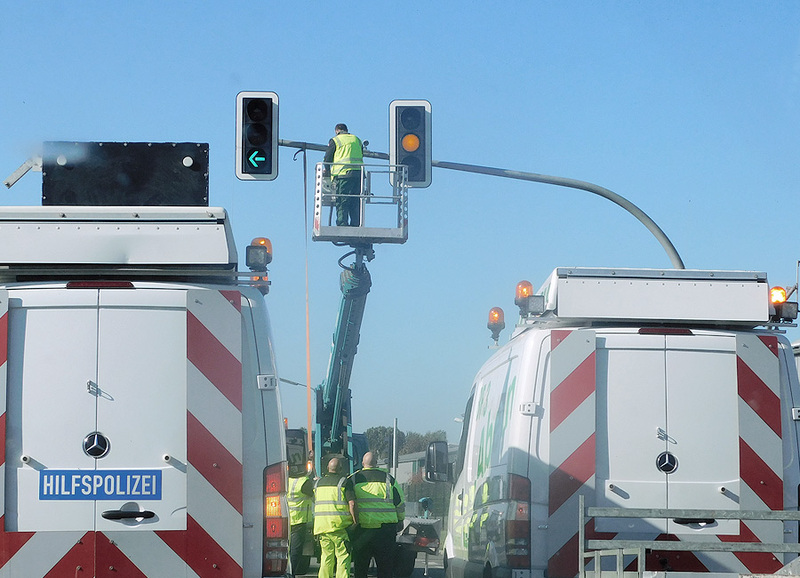 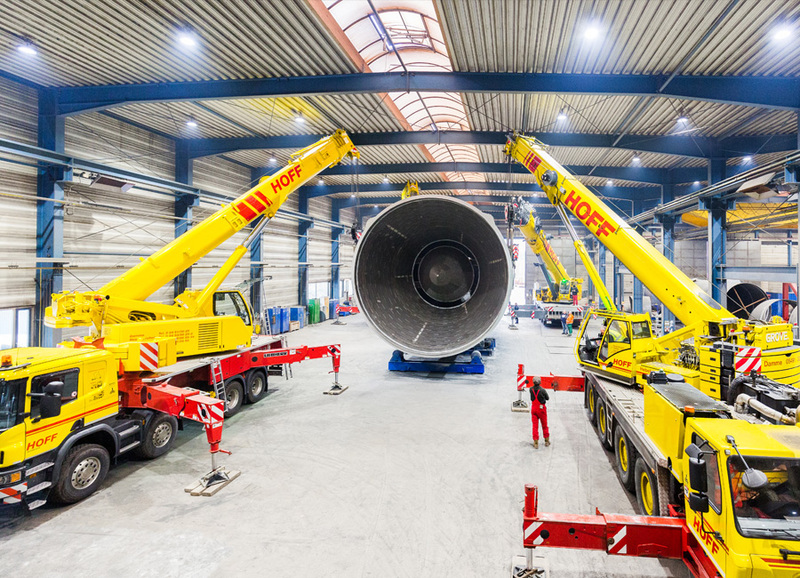 The other demands of this project were also high: Once work began in July 2016, there were only four months available for production planning and control. 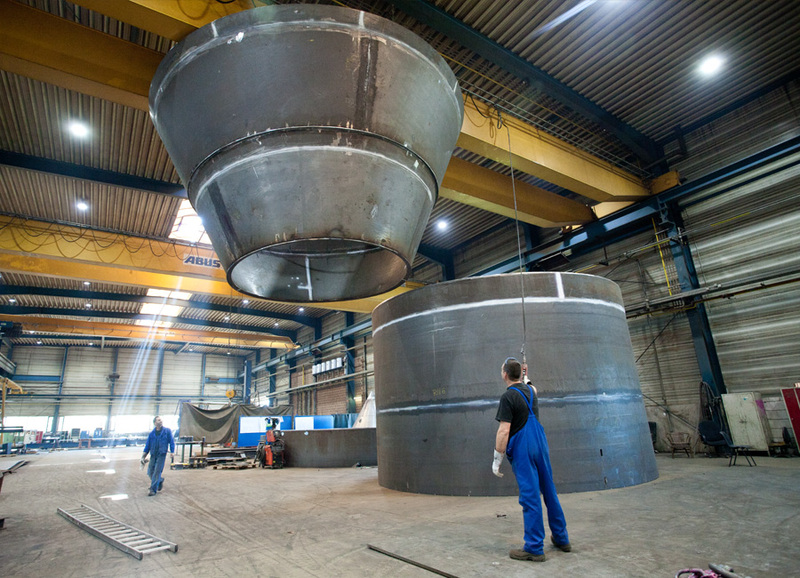 Both components are manufactured from 15-50 mm-thick boilerplate. 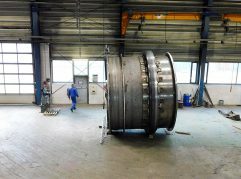 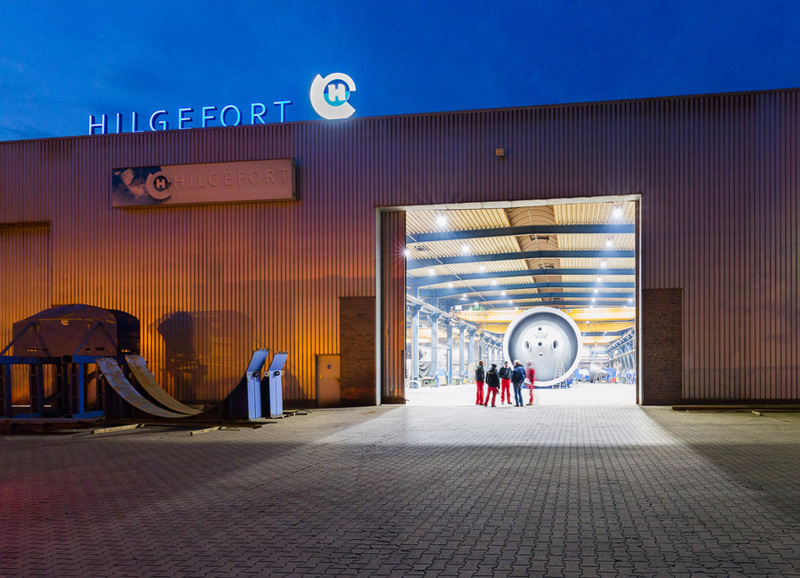 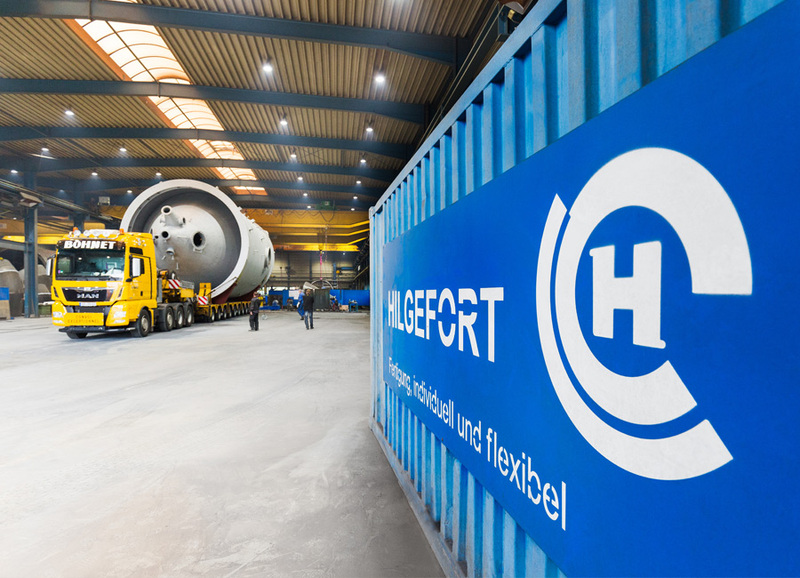 Each welded seam is tested in accordance with ISO 5817b and the stress-relief heat treatment was performed by Hilgefort in their own annealing furnace. 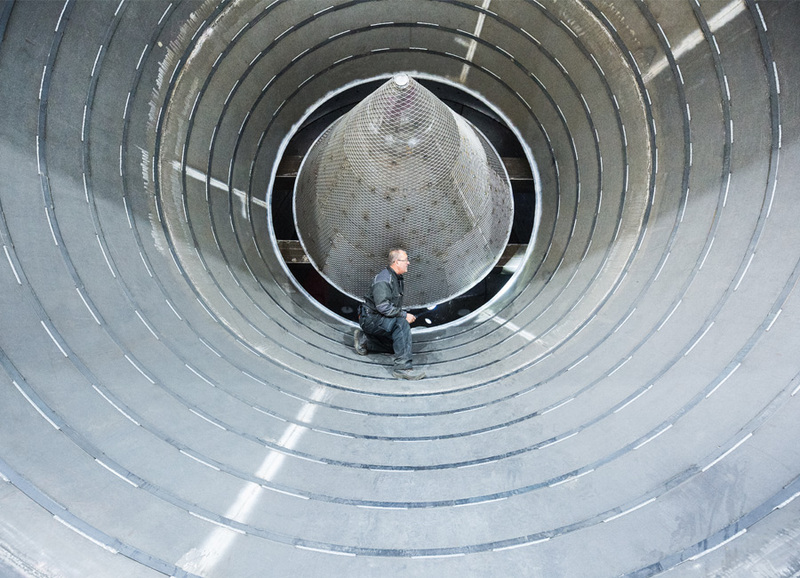 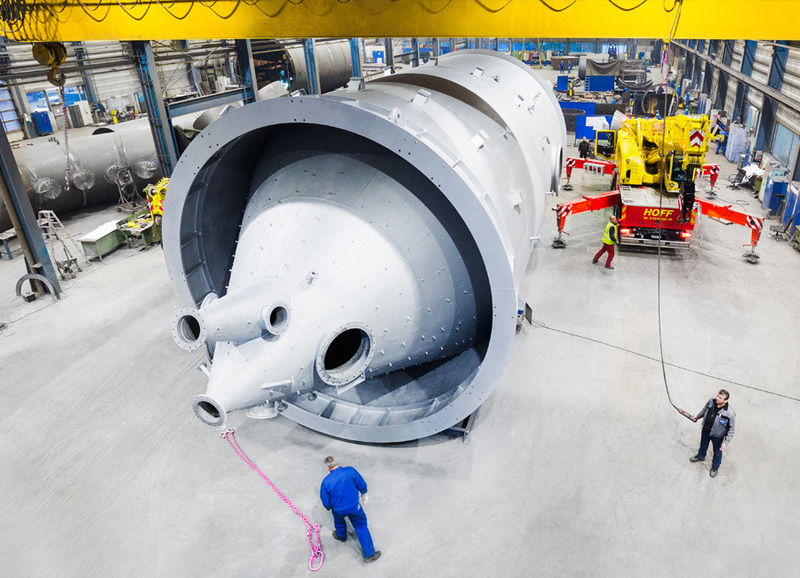 A flange connection had to be face-milled onto the component at a working height of 7.50 m. The entire bottom section of the cyclone separator is lined with special steel and there are retaining points on the top section for ceramic tiles. 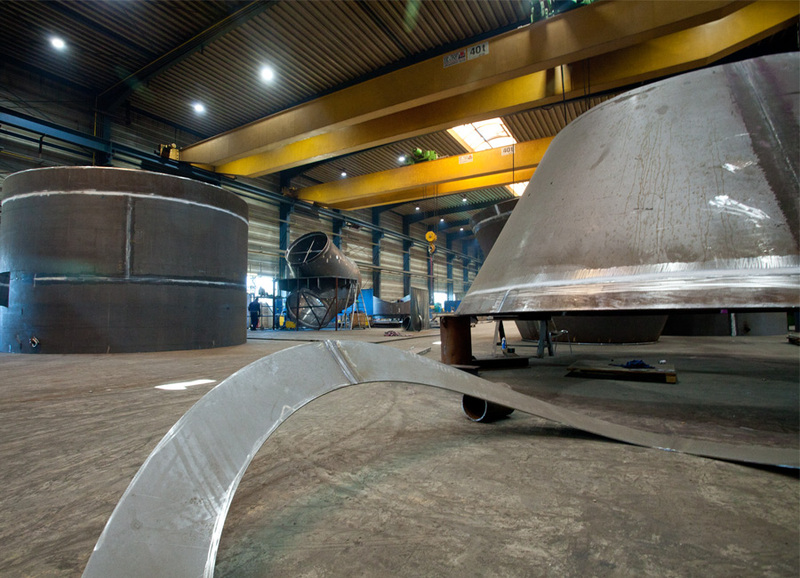 The tiles can only be fitted once the top section is in the steel works for weight reasons. 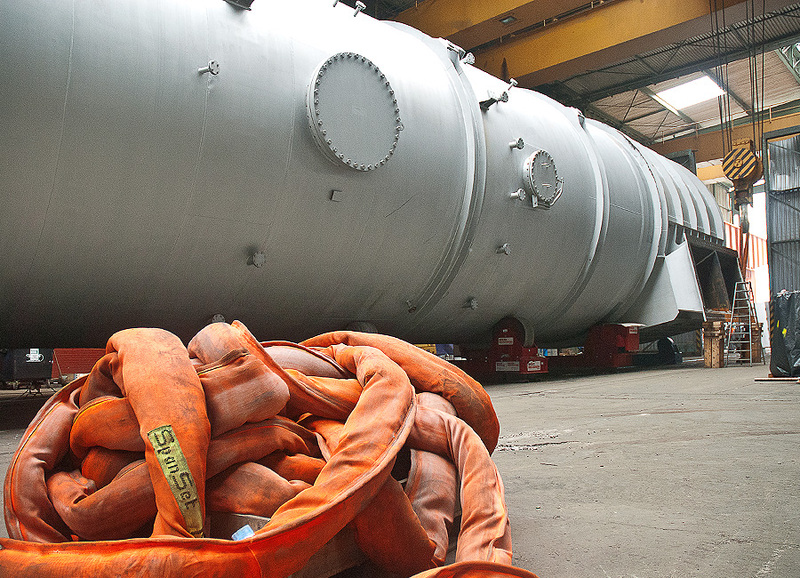 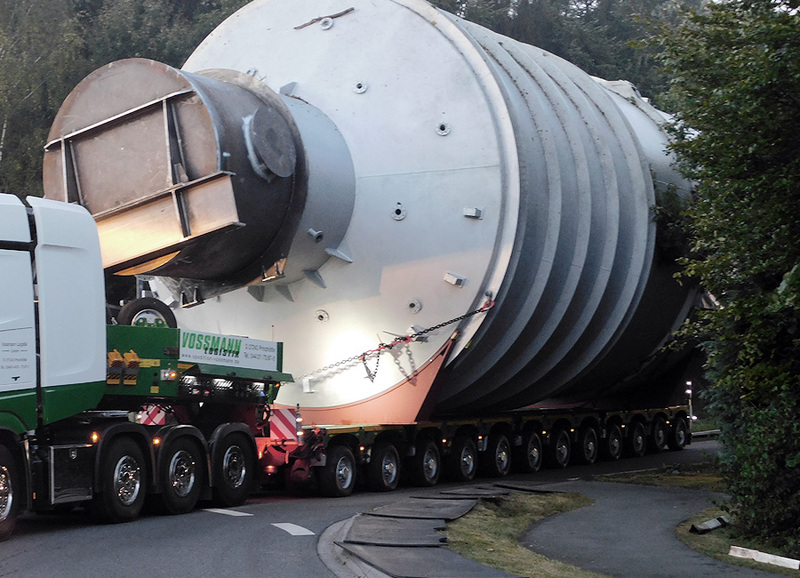 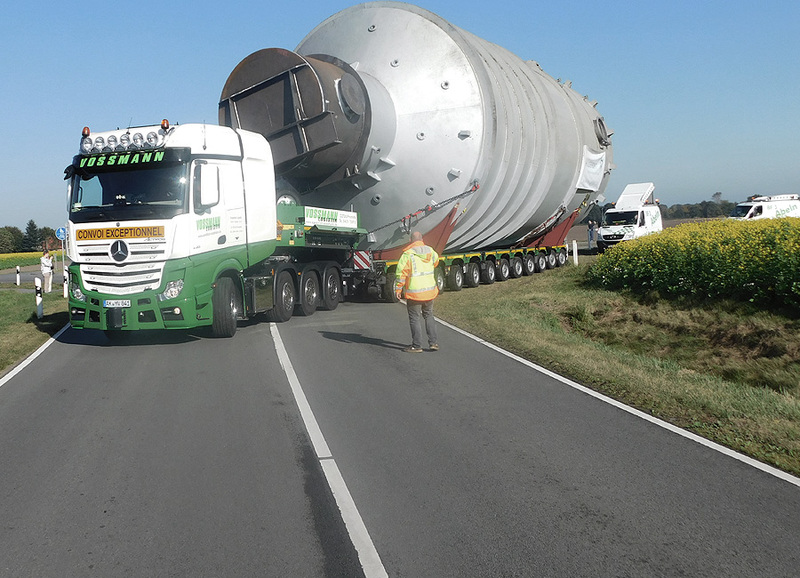 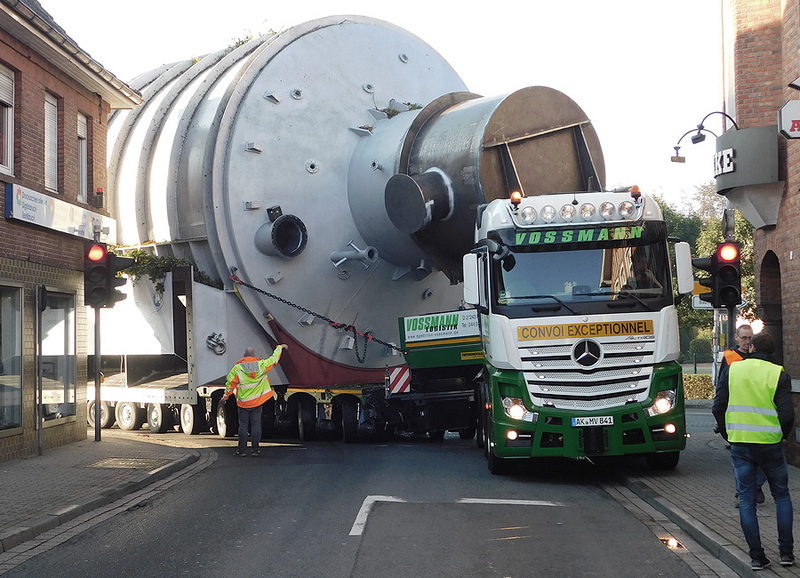 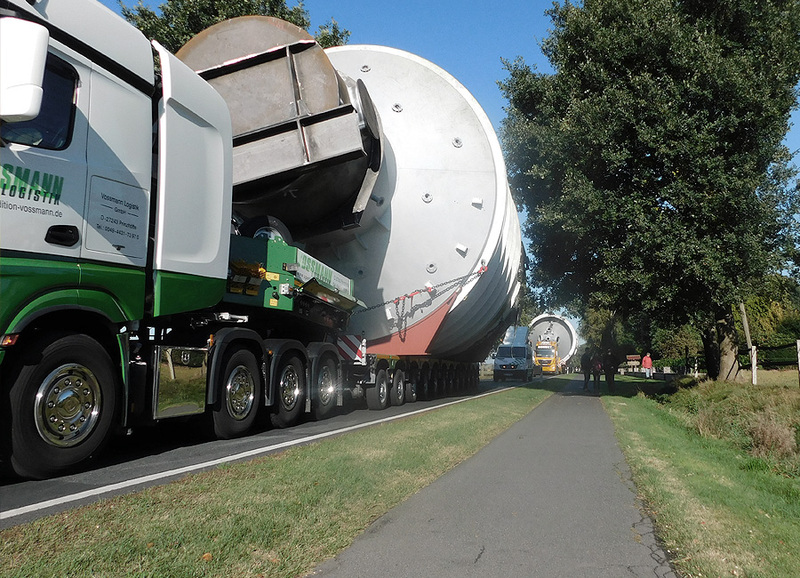 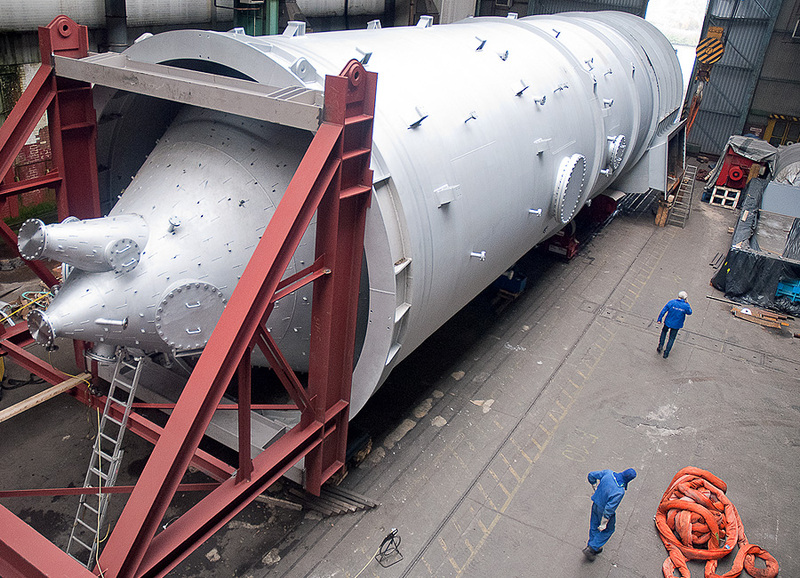 The cyclone separator was transported to the pre-assembly site in two parts. 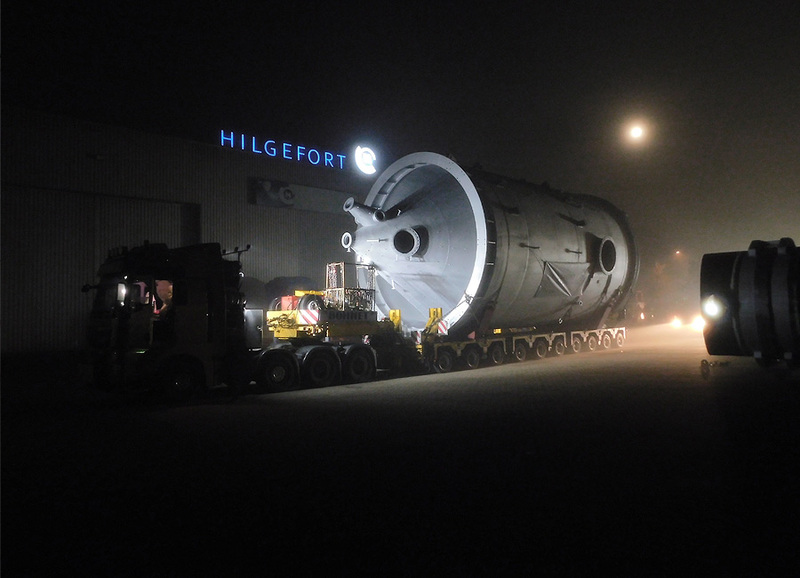 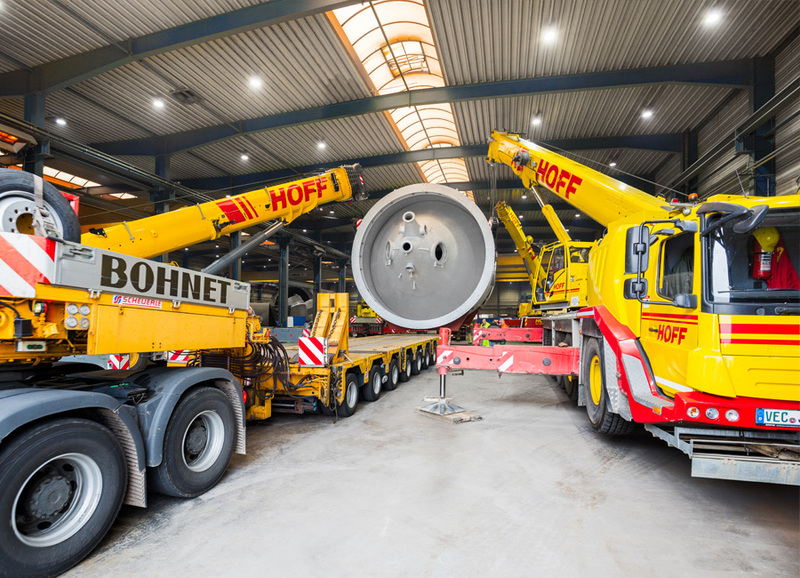 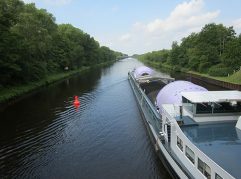 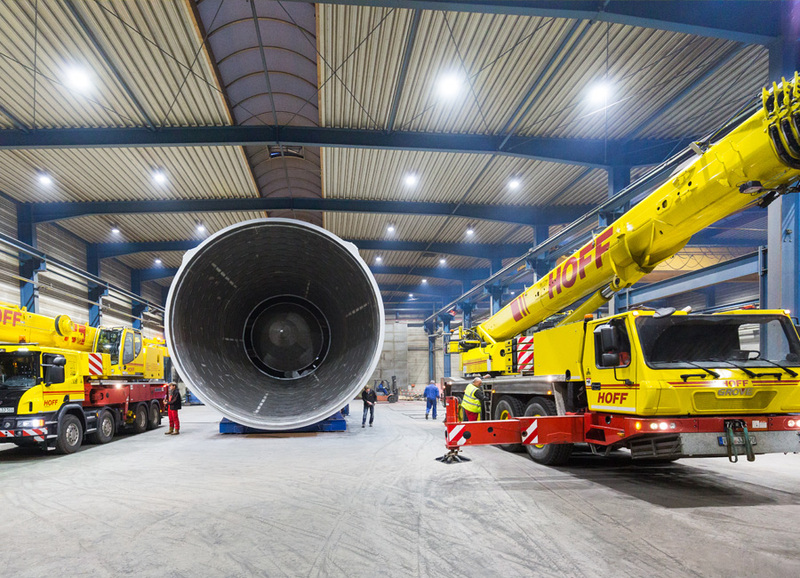 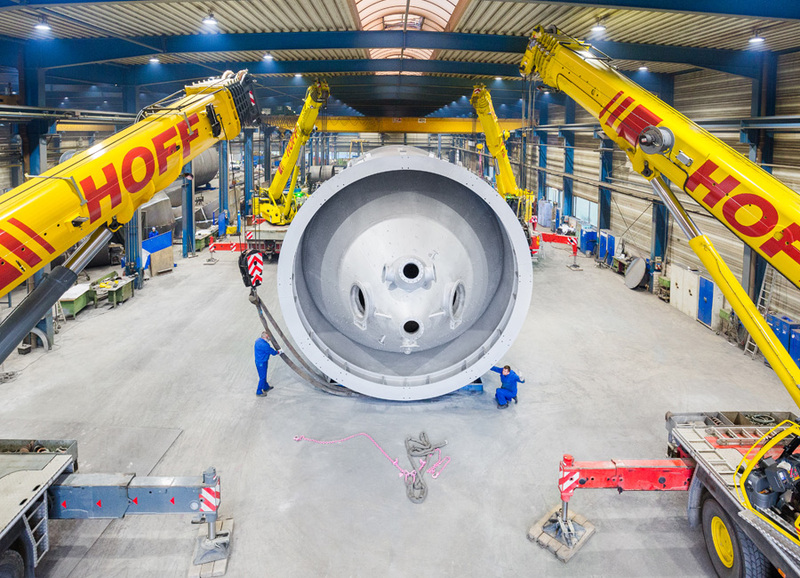 Once there, both plant components were joined together before being loaded onto barges and shipped to Duisburg.